A vending machine agreement is a legally binding agreement between a vending machine distributor or leaser and the owner of the location intended for the vending machine placement. It must be executed, or signed, prior to the placement of the vending machine. It specifies about the intent of the parties to the vending machine agreement. 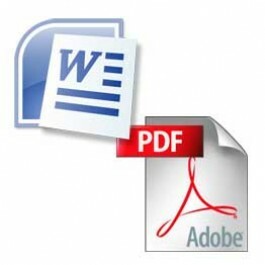 This vending machine agreement is in fillable pdf format as well Microsoft Word File. With locations to be mutually agreed upon within the premises of OWNER. OWNER may require on reasonable notice that VENDOR move machines within the premises of OWNER. This license shall begin ____________________, and conclude on ____________________. VENDOR shall pay any license fees or taxes imposed on the operation of the machines. VENDOR shall maintain the machines in good working order and regularly maintain and clean the same so that they do not detract from the appearance of the business premises of OWNER. OWNER may terminate this license and require that VENDOR remove the machines in the event that the machines are unsightly or malfunction and reasonably detract from the OWNER's reputation. VENDOR shall obtain insurance coverage in a minimum amount of $____________________________________________________ (dollars) through an insurer licensed to offer such insurance for bodily injury and property damage. VENDOR shall indemnify OWNER from all liabilities related to or arising out of the use of the machine. Accountings and payments shall be made monthly. OWNER or its representative shall be entitled to audit the books and records of VENDOR to determine the accuracy of the accountings. Any water or other utility service required for the machines shall be installed at the expense of OWNER. The charges for any water or other utility service required for the machines shall be paid for by OWNER.